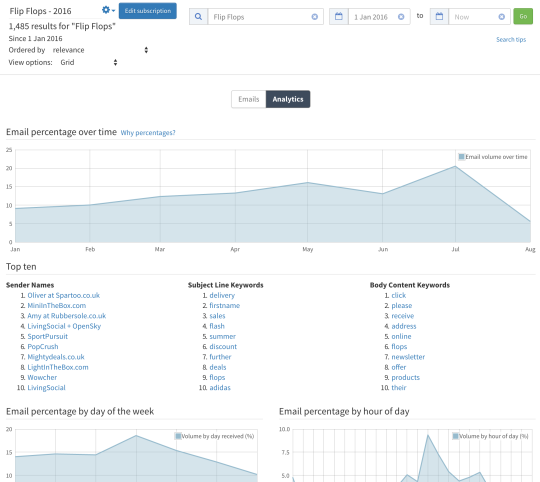 At Beetle we want to make your campaign research and market analysis as easy as possible, this is why we have created search Subscriptions. We found that once you have searched for a particular brand or campaign, you want to know what happens with this campaigns on an ongoing basis. 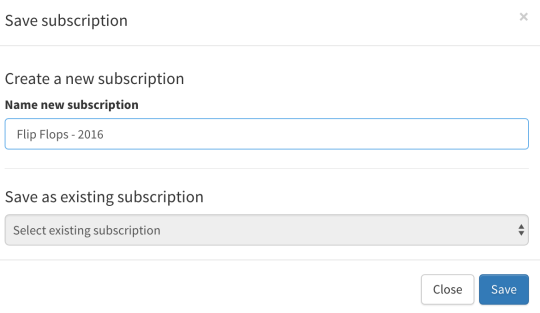 Subscriptions allow for you to do this and refer back to whenever you need. Step 1. Start your search. 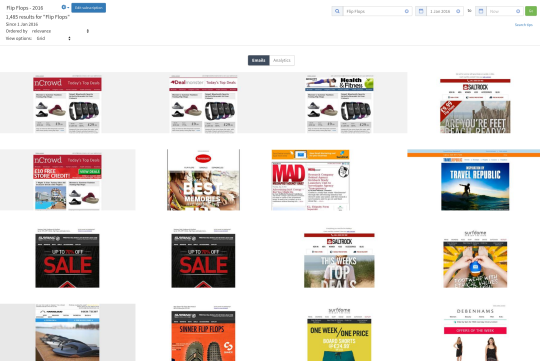 Start your search on the homepage by entering the keywords or brand you are looking to see emails about. Once you have submitted your search request you will be presented with our full range of emails, since the birth of Beetle until the present day, in reverse chronological order (newest first). To refine the date period of your search you can alter the search parameters in the top right hand section of the page. Here you can see if I have limited the search to only show me results from 2016. The page will then reload with only the requested results. Step 3. Hit the blue button. You’ll see under the date parameter boxes there is a blue “Subscribe to this search” button. Click this button and a window will pop-up asking you whether you want to save as a new Subscription or replace an existing one. Name it and save it. Now your search is saved it will automatically update with any emails since the start date you set, check in daily to see the new content and analytics available. 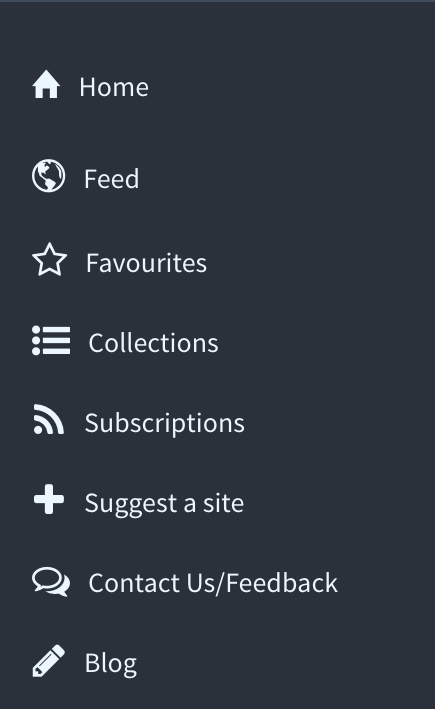 On the side bar menu you will see a Subscriptions option. Click on this and your personal Subscriptions page will open. In here you will see all of the Subscriptions you have previously set up. 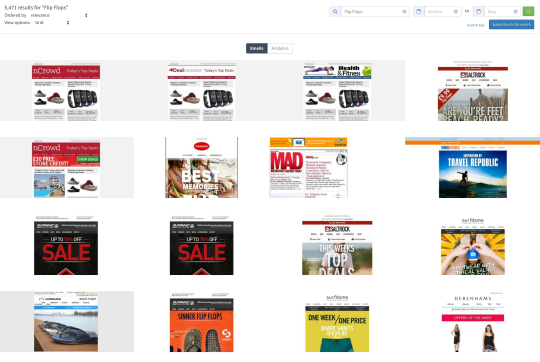 Select the Subscription you want to look at and it will load on the page, with the latest emails relating to your search criteria. Make sure you check out the Analytics tab too, so you can see all the juicy information related to your search.